The Leukemia & Lymphoma Society’s (LLS) is proud to announce its 16th consecutive year of partnership with Burlington Stores, the national off-price retailer. 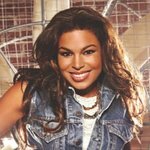 Joining Burlington and LLS to support the cause for the first time is singer and songwriter Jordin Sparks, an avid activist for cancer research. Each September during Blood Cancer Awareness Month, Burlington and LLS team up to create awareness for the urgent need to fund research to advance cancer cures. A point of sale fundraising effort launched on Sunday in 599 Burlington stores across the country, encouraging customers to donate $1 or more at checkout to support LLS’s goal to create a world without blood cancer. The point of sale collection period will run through December 9, 2017. On Tuesday September 19, Jordin Sparks joined Burlington and LLS at the retailer’s flagship location in New York City’s Union Square, for an inspiring event to recognize four young blood cancer survivors and surprised them with a full fashion makeover and brand new fall wardrobe. These young heroes are also featured within the in-store campaign at all Burlington locations nationwide. Every three minutes, someone in the U.S. is diagnosed with blood cancer, and every nine minutes someone dies from blood cancer. Today, nearly 1.3 million people in the U.S. are living with, or are in remission from a blood cancer and, unlike many other diseases, there are no means of preventing or screening for blood cancers. The funds raised by Burlington during this campaign will help LLS to advance research to find new treatments and cures. “At Burlington, we are committed to the fight against blood cancers. Our associates and customers have raised more than $29 million over the past 15 years and this year, we are excited to continue to raise much needed funds towards saving lives and finding cures,” said Tom Kingsbury, President, CEO and Chairman of Burlington Stores. Light The Night Walks are a powerful and unique fundraising campaign for LLS, which bring together families and communities to honor blood cancer survivors, as well as those lost to the diseases, and to shine a light on the importance of finding cures and providing access to treatments for blood cancer patients. Walks take place during the fall, starting in September, in 150 communities across the country and many of Burlington’s more than 37,000 associates nationwide will participate. Customers shopping at any Burlington Store now through December 9 can donate at checkout to benefit LLS, helping to find cures for blood cancers. For more information visit BurlingtonStores.com or LLS.org.